After paving the road for five young future stars to reach their dreams last year, the Future Stars campaign, brought to you by Argo was back – and ready to make a difference in the lives of more ambitious young South Africans. With the slogan ‘Dream it. Believe it. Do it’, this initiative is helping young people under the age of 21 to do just that. Brought to you by Argo and supported by leading brands, Capitec Bank, NYDA, TSB, Mindset TV and Metro FM, Future Stars not only motivates them to believe in themselves, the power of education and their dreams – but also helps them to reach those dreams. In an effort to move away from the focus on what’s wrong in the country, the Future Stars campaign is focused on inspiring leadership. It’s about leaders actually taking the lead and focusing on the immense potential we have in our country, so that we can inspire others to believe in our future. It is an innovative campaign that inspires our future stars – and at the same time inspires others to realise that our youth are phenomenal. 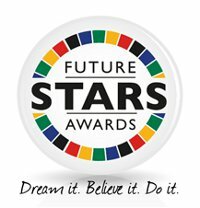 Simply by sharing their dreams in the online Future Stars entry forms on www.SAstudy.co.za – and then getting the most votes from the public and their peers on the website – these were the Top 10 finalists. Reitumetse Molaoa (Future Stars Winner) from Bloemfontein is working towards becoming an Environmental Biotechnologist. As a mentor to young students, she aims to be a role model to help young people discover their potential. “I hope someone will invest in me, so that I can pay it forward one day”. Mudanalo Mukhuwana from Cape Town is showing the world that women can succeed at anything, by pursuing her career in Marine Engineering. “I want to be the Chief Engineer of a ship in 10 years and to prove woman can do that! Most of my efforts are targeted at inspiring women in the way I live my life”. Penny Mchunu from Pretoria believes that she can change our country by choosing to become an economist and she has a burning desire to bring fairness in spend across our country. “I can’t overlook unfairness. I need to fix it. And I’m doing it for my mom and the children out there”. Dumisa Thethiwe from Tsomo is studying Entrepreneurship and Leadership and wants to open an NGO for youth development in his community. “I believe that youth leadership skills are the key to the future. I want to take the youth to their full potential and to get them back to school”. Zikhona Ngumbela from Cape Town dreams of working with businesses, getting them to change our communities by using their CSI effectively. “I am a change-maker that believes in change – and I don’t need a job title to do it. I want to leave a legacy and be youth leader”. 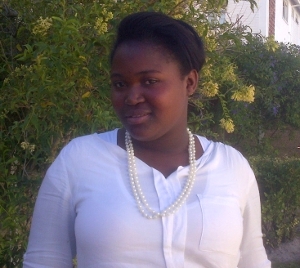 Carroll Tshabane from Limpopo dreams of becoming a doctor, and with patience, kindness and love for children she wishes to specialise in Paediatrics. “I want to inspire others by being educated in a community where very few people are.” She wants to be a leader at Malumelele as there are no doctors in the community. She leads at church and leads in life too. The Top 5 was announced on the 20th of June at Education Week at the Sandton Convention Centre – and each of them received prizes to the value of R10 000 to make their dreams a reality. 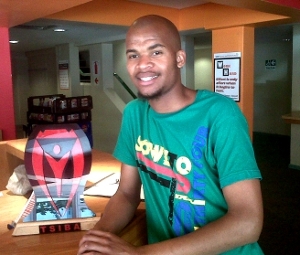 Reitumetse Molaoa took home the title as the Winner of the Future Stars campaign. Mudanalo Mukhuwana, Penny Mchunu, Dumisa Thethiwe and Zikhona Ngumbela competed with Reitumetse for the title. None of this would be possible without the involvement of the Future Stars sponsors – all of which share the same commitment to shaping a better tomorrow by helping our young stars of today become the future leaders. These sponsors are Capitec Bank, The National Youth Development Agency (NYDA), TSB Sugar, Mindset TV, Metro FM and, of course, Argo.